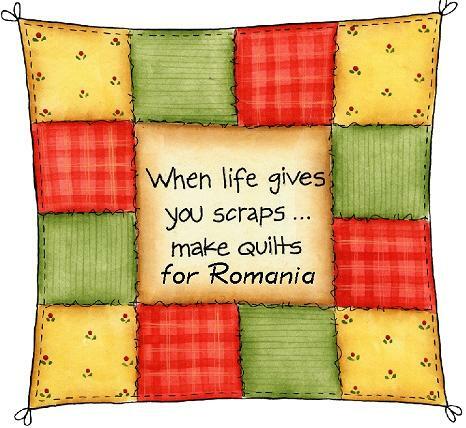 This is the first Quilt Drive for Dress A Girl Australia and the first for the year 2013 for the children of Romania. 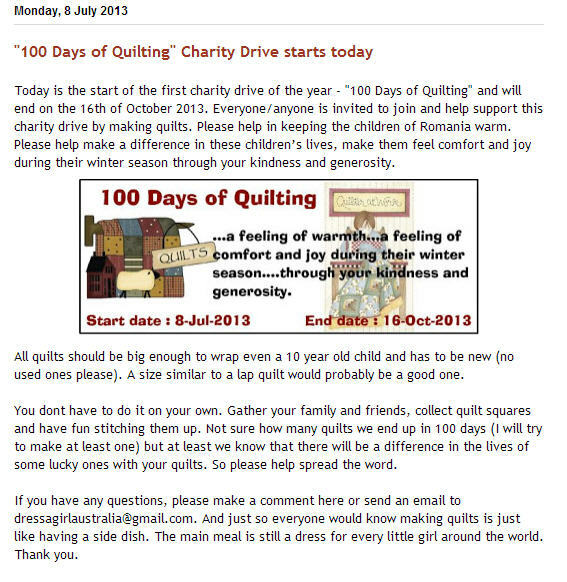 Depending on financial circumstances and if I can find more ways of raising funds to pay for postage, I hope to make this an on-going project for Dress A Girl Australia to be able to help more disadvantaged children around the world. 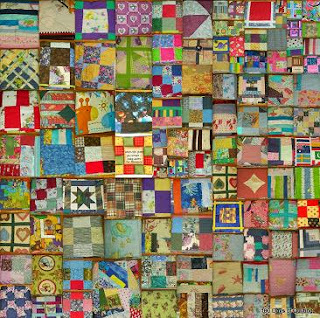 Quilts Received so Far from the "100 Days of Quilting" Charity Drive. Please click on the image for more details. 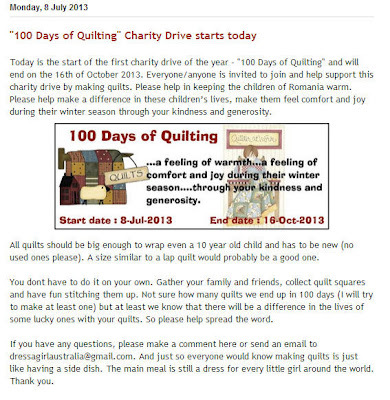 #1 - More info regarding the '100 days of Quilting' charity drive especially on size. I would think between 120cms - 140cms would be the right size. It will not be too bulky to roll and not too heavy (I could fit 12pcs in the normal box I am using and that is 12 kids kept warm) and size would fit even a 10-year old child. 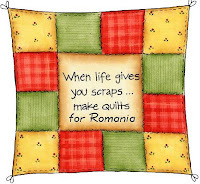 Parcel #1 - 9 Quilts for Romania. Please click on the image below for more details.